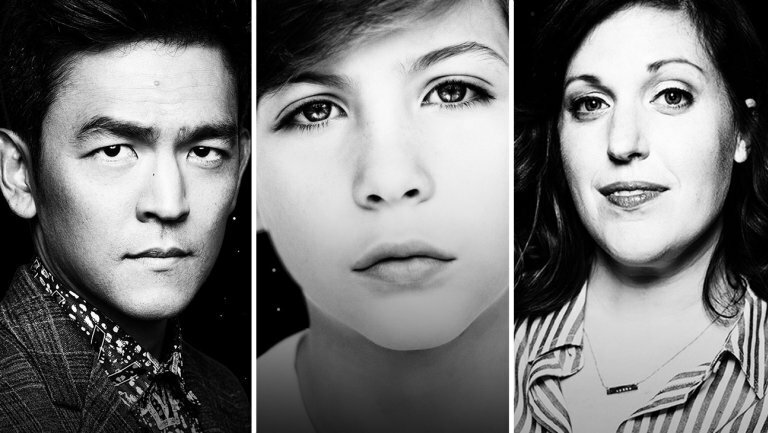 CBS All Access has announced that Searching‘s John Cho, Fargo‘s Allison Tolman and The Predator‘s Jacob Tremblay have all signed on to star in an episode of the upcoming reboot of the classic sci-fi series The Twilight Zone from Jordan Peele. The episode, titled “The Wunderkind,” will feature the three celebrated performers in roles and a plot that is currently being kept under wraps. The three stars join a cast that also includes Adam Scott (Big Little Lies), Kumail Nanjiani (The Big Sick) and Sanaa Lathan (Nappily Ever After), whose roles are also being kept a secret. Cho, who is well-known for his early success with the stoner comedy series Harold & Kumar, has taken a more dramatic approach with his roles in the past few years, starring in the J.J. Abrams’ Star Trek franchise as Hikaru Sulu, Fox’s horror series Sleepy Hollow and The Exorcist and this year’s thriller Searching, which scored rave reviews from critics and audiences alike, was a box office hit and was a milestone as it was the first mainstream Hollywood thriller to be headlined by an Asian-American actor. Tolman saw her big break in 2015 when she starred in the FX adaptation of the Coen Brothers’ classic film, Fargo, for which she was nominated for both an Emmy and a Golden Globe for her performance, while also starring in the psychological thriller The Gift and horror-comedy Krampus, both of which came out the same year. She was most recently seen in the western comedy The Sisters Brothers alongside Joaquin Phoenix (Joker) and John C. Reilly (Holmes & Watson) and the Hulu horror anthology Castle Rock. Tremblay has quickly become one of Hollywood’s most sought-after children actors following his breakout performance in the acclaimed 2015 drama Room, for which he won numerous awards, and has since starred in a variety of films from the infamous flops The Book of Henry and Shut In, while also having starred in the well-received dramedy Wonder alongside Julia Roberts (Homecoming) and Owen Wilson (Cars 3) and the action sci-fi blockbuster The Predator.